Hauppauge Digital has teamed up with Mac software developer Elgato to deliver more TV watching options for Mac users. The company is offering Elgato's EyeTV software as a digital download as the discounted price of 60 Euros (£41). The software is compatible with Hauppauge's WinTV Nova-t Stick, WinTV HVR900 Hybrid Stick and WinTV NovaTD Stick with Antenna Diversity. Elgato's EyeTV software enables Mac users to watch, schedule and record their favourite programmes, while the Hauppauge WinTV Sticks offer analogue and/or digital terrestrial TV reception, depending on model. The application is a universal binary, enabling it to work on both Intel and PowerPC equipped Macs. 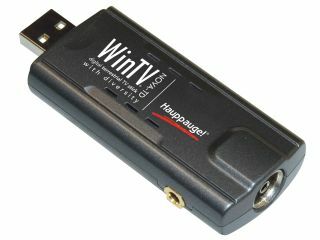 Mac users can also use their WinTV Sticks on PCs if they wish, Hauppauge says. "Traditionally the TV hardware products for PCs and Macs have been quite different," says Yehia Oweiss, UK Managing Director and Vice President of Sales, EMEA for Hauppauge Digital. "For the first time, a WinTV tuner will work on both a PC and a Mac, opening new opportunities for owners who want to move products between several machines."